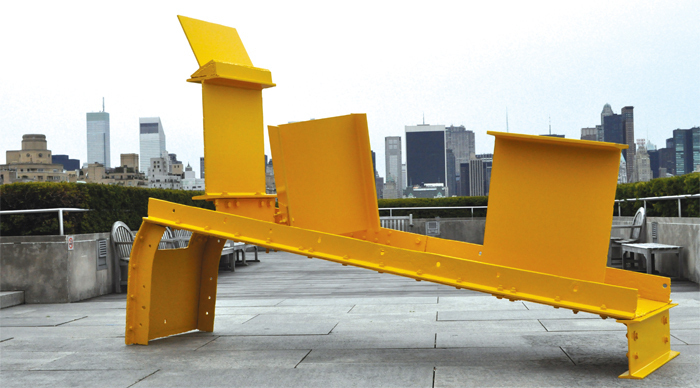 Anthony Caro, Midday, 1960, painted steel. 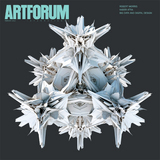 Installation view, Metropolitan Museum of Art, New York, 2011. SHORTLY AFTER ANTHONY CARO DIED LAST FALL, I proposed a moratorium on the phrase “I really like his early work.” In the context of Caro, this sentiment is generated from our taste rather than from a deeper understanding of his sculptures. The figuration from the ’50s is not included in my moratorium, and to many this period of his oeuvre serves more as a footnote to his beginnings. Understanding the intent behind these potent bronze figures allows us to step forward with the artist, grasping the potentiality and originality of works like Twenty Four Hours, 1960, Midday, 1960, and Early One Morning, 1962. The great joy of looking at Caro comes from liberation.